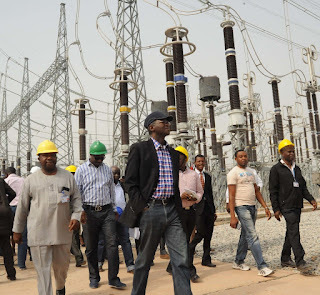 The Minister of Works, Power and Housing, Mr Babatunde Fashola, has attributed the poor electricity supply across Nigeria to attacks on oil installations in the Niger Delta region by militants. The Minister said this on Thursday at a forum organised by members of a civil society organisation in Abuja, Nigeria’s capital. Mr Fashola argued that one year was a short time for government to deliver on all its campaign promises, while giving an account of his term in office. According to him, out of the 26 power plants built to generate electricity across the country, 23 depend on gas, lamenting that the activities of vandals in the southern region had made it impossible to power those plants. However, some members of the civil society groups in the audience expressed displeasure with the Minister’s reason for the present condition of electricity supply in the country. On their parts, the Minister of Information and Culture, Mr Lai Mohammed, and the Minister of Budget and National Planning, Senator Udo Udoma, insisted that the government has made progress in delivering on its promises to fight corruption, tackle insecurity and trying to fix the economy. The Director Centre for Democracy and Development, Idayat Hassan, said the objective of the gathering was to provide an opportunity for the All Progressives Congress-led administration to give account of its stewardship in the last one year in line with its campaign promises. The meeting is coming on the heels of the series of attacks on infrastructure in the oil rich Niger Delta region by militant group, Niger Delta Avengers, which is said to have rendered the energy sector paralytic. One of the latest attacks carried out by the group was the attack on a crude oil pipeline belonging to Chevron Nigeria Limited in the early hours of Wednesday.